In the early days, many educators have little awareness about special needs. We generally label those who could not sit still and listen during lessons as the naughty ones in class. There are adults who may be autistic but they are not aware of their own condition. These adults had serious problems in school and social setting. They wanted to be normal like the rest but they just could not do it. Parents may not understand them and may also be frustrated with them. Below is a sharing by Dawn who found out that she has autism at the age of 42. When Dawn was a student, classroom sounds were excruciating. 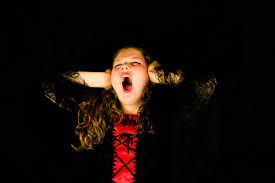 As we know that autistic children can be extremely sensitive to loud sound. They can hear sound that is many times louder than what we hear. Their sensory can be a lot more sensitive than us. Dawn had regular meltdowns and she was labelled as the oddball. She finally found out her actual reason when she visited a psychologist. She felt relieved as she finally understood why she was different from the rest after all these years. In reality, most special needs children may still be facing rejection or isolation by the rest of their classmates. Their classmates do not understand special needs and they may even mock at their behaviours. It is really the job of the classroom teachers to educate their students so that they can understand their special needs classmates more. By doing so, we are also nurturing empathy in our students. With the inclusive of special needs into our mainstream classrooms, teachers must find teachable moments to educate our students. By educating them, they may grow up to accept special needs even in their work place. Special needs people are also human and they do have feelings. They should be treated fairly and equally like the rest. Everyone needs friends especially for special needs who may require assistance for many areas. As parents of special needs, their greatest concern is really the future of their special needs children. With greater awareness of special needs, we hope to build a more inclusive society that people can come forward to help them. Special needs people can contribute to society but they may just need our patience and time. 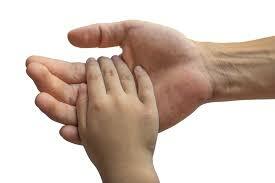 Lend a helping hand to them if you ever see them requiring your help. It is never too late to educate our students. When we educate them about special needs from young, they may gain the empathy as well as the skills to help special needs. We can provide a society that accepts people who are different from us. No one is the same but some may be a lot different from the rest due to special needs. When we help the special needs at the work place, we may find them helping us when they are able to do so. Let’s make the world a better place for the special needs today. If we could only learn how to love, people would learn to tolerate those with special needs.